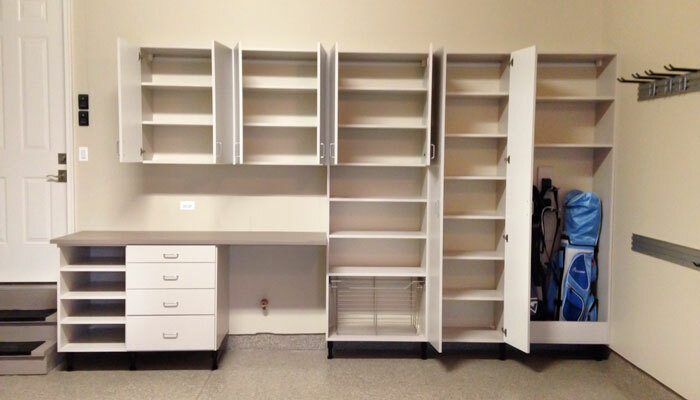 It's amazing how easy it is to maintain a neat and tidy garage when you have a well-planned custom organization system in place. As the family hub for sporting goods, tools, bikes, and more, this garage design has been fine tuned to meet all storage needs. 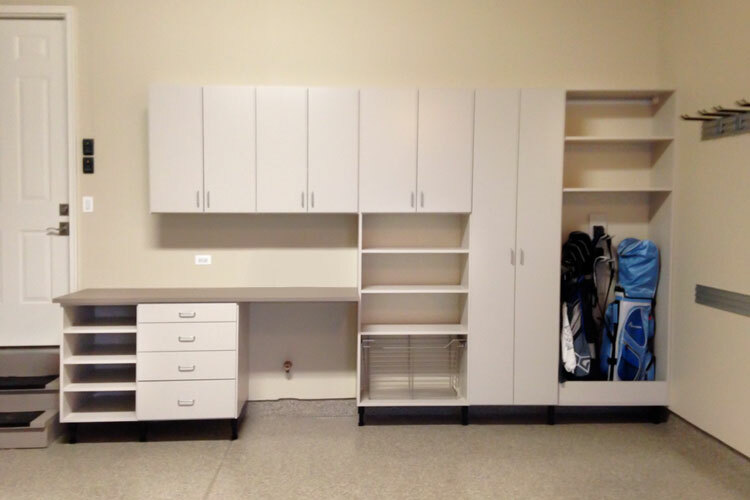 There is a cabinet designed specifically for golf equipment — it includes a 6 inch lip along the bottom ensuring no loose balls escape by rolling away, plus two hooks for hanging bags of clubs. 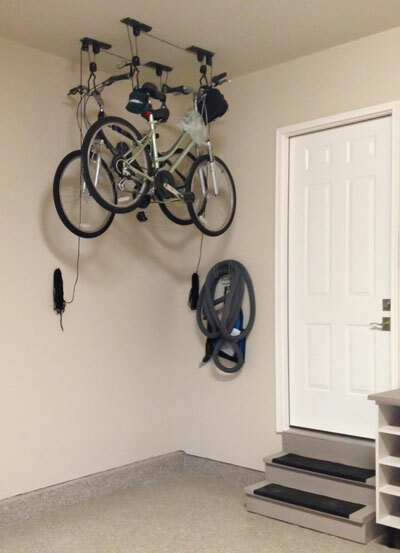 A pulley bike storage system keeps bikes up and out of the way when not in use, but also allows easy access, ensuring that this family is always ready to take advantage of beautiful days with a long bike ride. 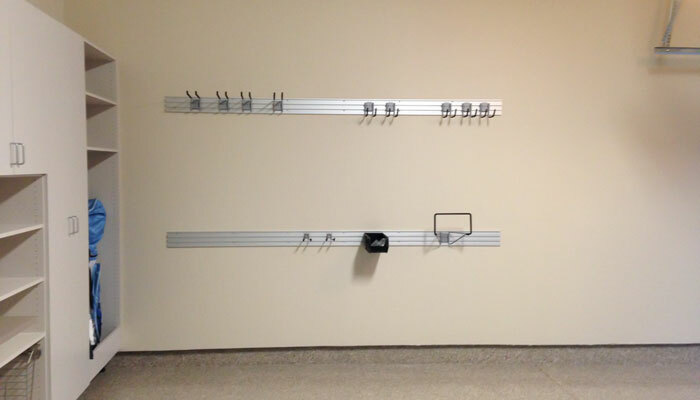 The Omni Track™ aluminum wall storage system with custom accessories makes organizing lawn and garden equipment easier than ever. The soft, neutral laminate is a practical choice. It blends seamlessly with the off-white walls, while simultaneously hiding more dirt than standard white.